Neatly priced products add an upscale look to your store! White Merchandise Tags have white cotton strings and scalloped edges. 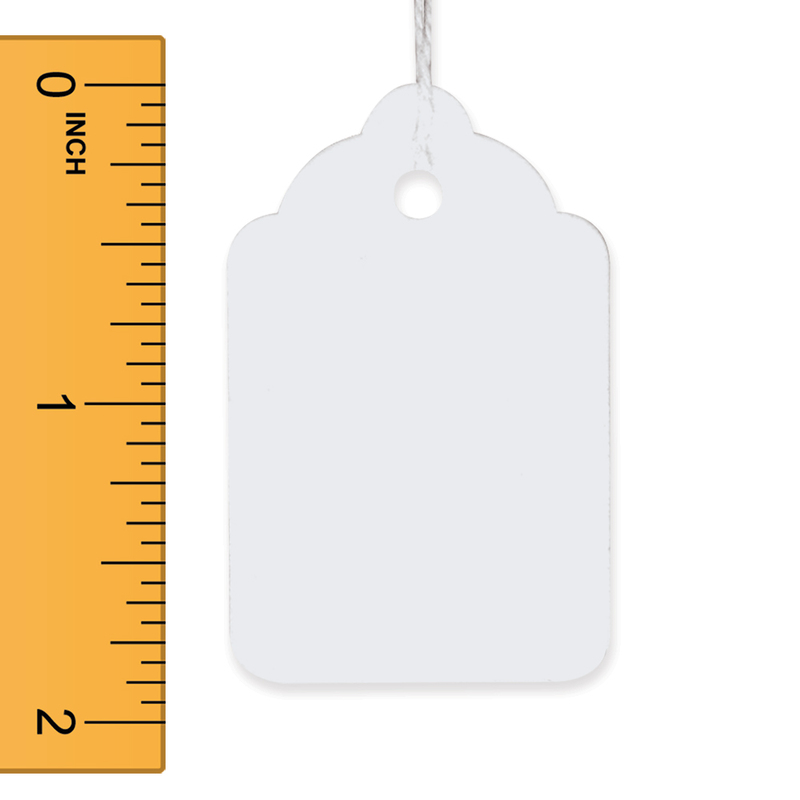 Blank white merchandise tags are made of card stock and have a smooth finish that you can easily write on or use with barcode labels.